A Moscow court on Friday rejected a lawsuit brought by opposition politician Alexei Navalny seeking to cancel the results of the city's Sept. 8 mayoral election, in which Navalny placed second behind Kremlin-backed winner Sergei Sobyanin. Navalny's team argued that the results were illegitimate because of violations including unequal access to media outlets for different candidates, irregularities in home voting, and the buying of votes with gifts paid for with city money. When filing the suit last week to overturn the election results, Navalny said he had also submitted 951 separate complaints of irregularities to be examined separately by the city elections committee and various district courts. At Friday's hearing, the prosecutor said Navalny had presented insufficient evidence to back up his claims of campaign and voting violations, while the Navalny team complained that Moscow City Court judge Alexandra Lopatkina refused to let them call witnesses to provide supporting testimony and rejected all their motions. “[The judge] has refused to allow the Navalny side to call any witnesses,” tweeted Leonid Volkov, Navalny's campaign manager. A representative of the city elections committee admitted that the city had given out bags of groceries to elderly people just before election day but said it was in connection to City Day festivities. The representative also said newspaper Vechernaya Moskva had illegally published materials campaigning for Sobyanin right before the election but that the newspaper had acted independently and the judge should determine how to evaluate its actions. After several hours of hearing evidence, Lopatkina ruled against Navalny, upholding the results that gave Sobyanin his victory with 51.37 percent of the vote, compared to Navalny's 27.24 percent. Dmitry Reut, a representative of the city's elections committee, said Navalny had failed to provide convincing evidence to back up any of his complaints at Friday's hearing. "Speculation and assumptions cannot be the basis of a review," Reut told Interfax. "Voters did not ask Navalny to defend their rights; he should defend his own interests. Voters can appeal to the court themselves." The ruling by Moscow City Court was not unexpected. In the past two weeks, Sobyanin and his powerful Kremlin supporters, among them President Vladimir Putin, have on several occasions praised the election as being one of the most transparent and fair in Russian history, and several observer groups said they did not witness any large-scale voting fraud. As Friday's court proceedings were getting under way, Navalny announced the date of another highly anticipated hearing: his appeal in the KirovLes case, in which he was convicted of causing millions of rubles in damages to a state timber company. 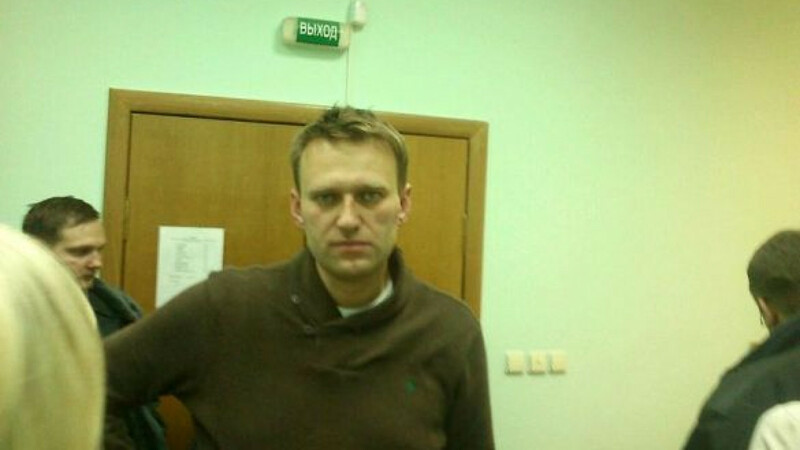 A Kirov region court will hear the appeal Oct. 9, Navalny said on Twitter. In July, Navalny and co-defendant Pyotr Ofitserov were found guilty on charges of stealing timber from the KirovLes company in 2009, allegedly costing the state budget more than 16 million rubles ($490,000). Navalny was sentenced to five years imprisonment and Ofitserov to four years, with each man also receiving a 500,000 ruble fine. Human rights groups and Western governments condemned the ruling as politically motivated, and Navalny has called it fabricated and absurd. The authorities unexpectedly released Navalny the day after the court's decision, allowing him to run in the Sept. 8 Moscow mayoral election. Following Navalny's loss in the election, attention has turned back to the KirovLes conviction and the ascendant opposition leader's political future. Many observers have said his five-year prison sentence would likely be overturned on appeal after his strong showing in the mayoral vote, arguing that he has gained enough political clout that authorities would not dare put him into prison for so long. In a demonstration of Navalny's growing visibility, news that President Putin had finally spoken the anti-corruption lawyer's name, something Putin has consistently avoided doing in public, became the top headline at one point Friday on the home page of search engine Yandex. Putin allegedly said it in a conversation with a U.S. journalist at a cocktail party following Thursday's meeting of the Valdai International Discussion Club in the Novgorod region. "I asked Putin if he deliberately doesn't say Navalny's name. Answer: 'No, why? Alexei Navalny is one of the leaders of the opposition movement,'" wrote Alec Luhn, who writes for The Nation magazine, on his Twitter account Thursday evening. While there is no recording of the conversation, RIA Novosti reporter Howard Amos uploaded a photograph of Luhn speaking with the president. Putin's apparent refusal to say Navalny's name in public had drawn so much attention that the president's press secretary had even tried to put the issue to rest. In an interview with Slon.ru on Sept. 12, Dmitry Peskov called the situation "far-fetched" and said that "of course" the president has no rule against saying the opposition leader's name. Not everyone was so impressed by the news that Putin had finally broken his rule. “Putin speaking Navalny's name does not make Alexei a national politician. Journalists, don't lose your minds!” tweeted pro-Kremlin political analyst Alexei Mukhin, who heads the Center for Political Information. Staff writer Delphine D'Amora contributed writing. Corrections: Due to a reporting error, an earlier version of this story incorrectly stated that Navalny was released from jail on the same day he was convicted on embezzlement charges, instead of the next day. Also, due to a computer error, political analyst Alexei Mukhin's name was incorrectly spelled Munchkin.